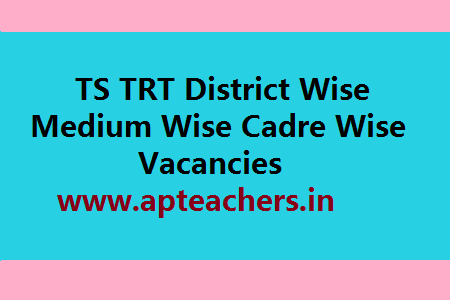 TS TRT 2017 District Wise Medium Wise Cadre Wise Vacancies. TSPSC has released the TS TRT 2017 Notification. 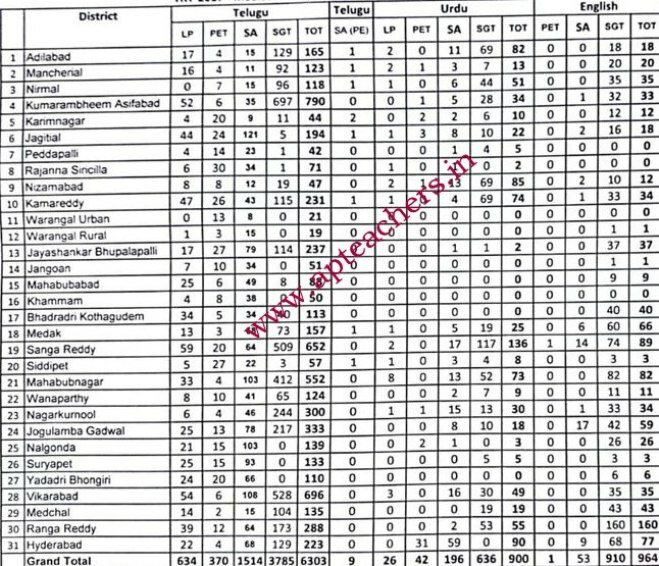 The District Wise Medium Wise and Cadre Wise Total Vacancies are given below for ready reckoner for the DSC TS TRT aspirants. 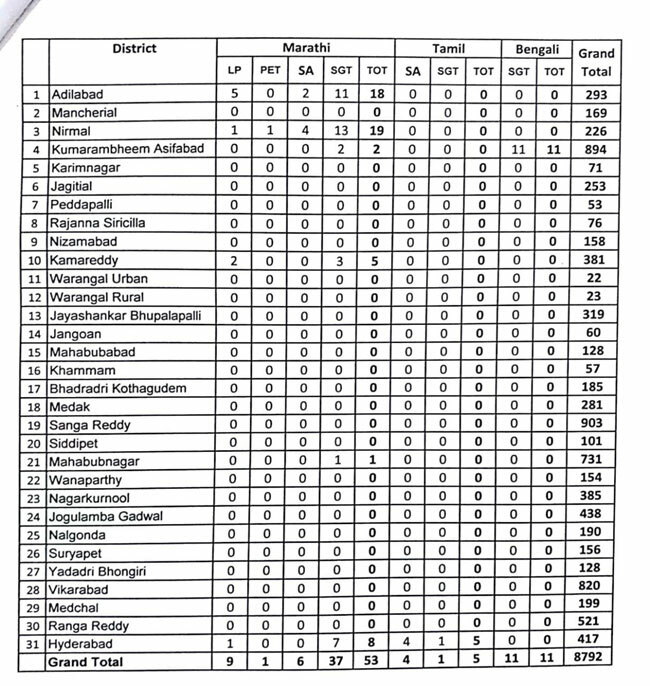 It will be useful for the TS DSC Candidates to select the suitable district to apply. 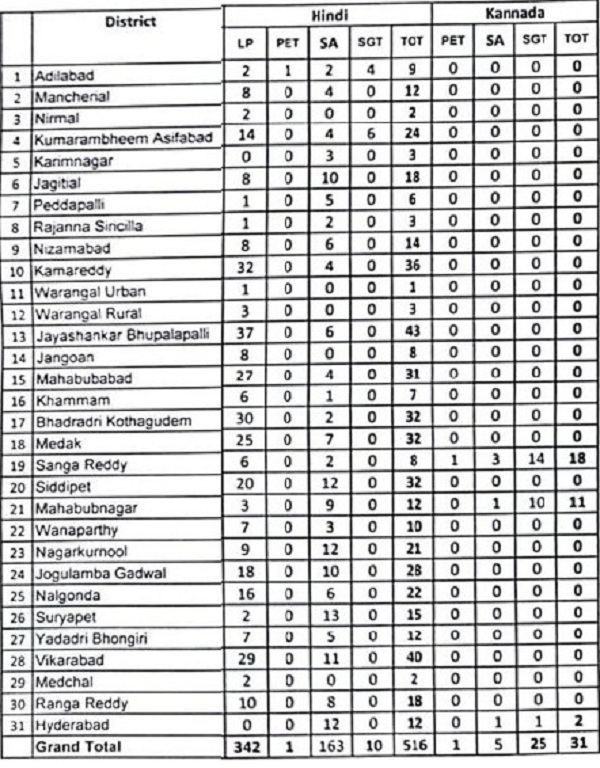 Hence use this TS TRT District Wise Medium Wise Cadre Wise Vacancies given below.